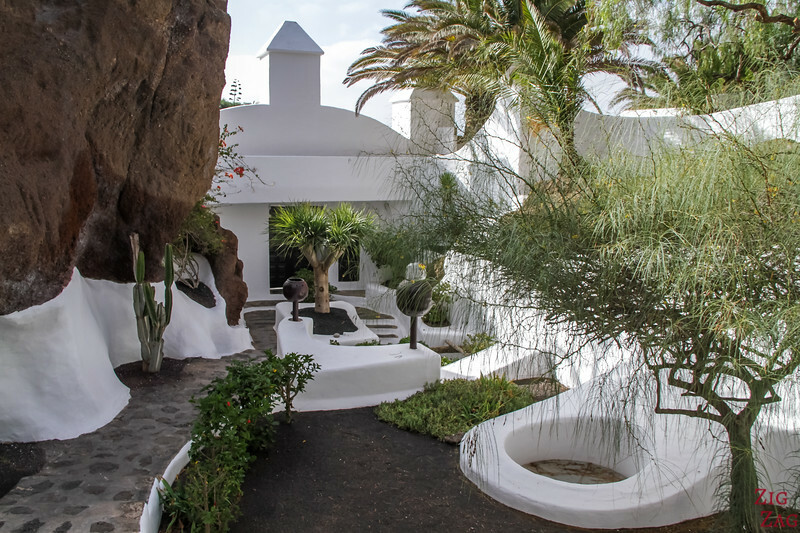 Lagomar Lanzarote is not a typical museum: it is a fun architecture adventure as designed by Jesus Soto - a place that enchants both adults and kids. 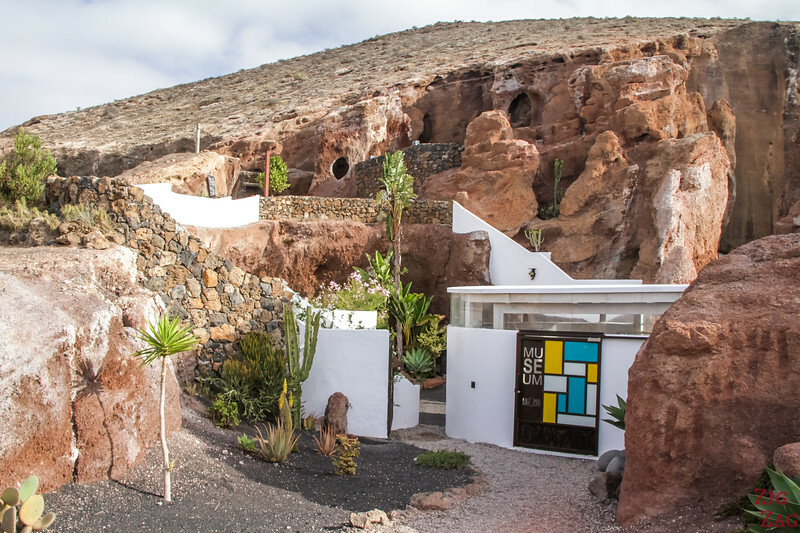 Below is my guide to help you plan your visit the the Lagomar museum Lanzarote. 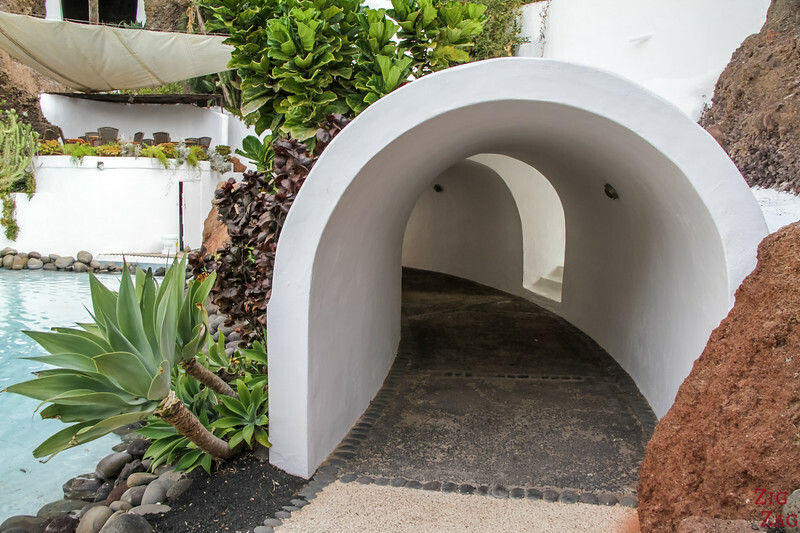 Let's start with a short video that shows you what it looks like to explore the tunnels, corridors, staircases and rooms of LagOmar Lanzarote. Such a fun excursion! 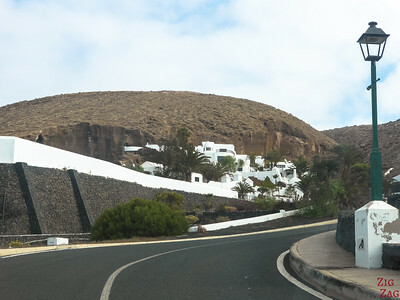 LagOmar is a unique location in Lanzarote, one of the most spectacular private properties on the island. 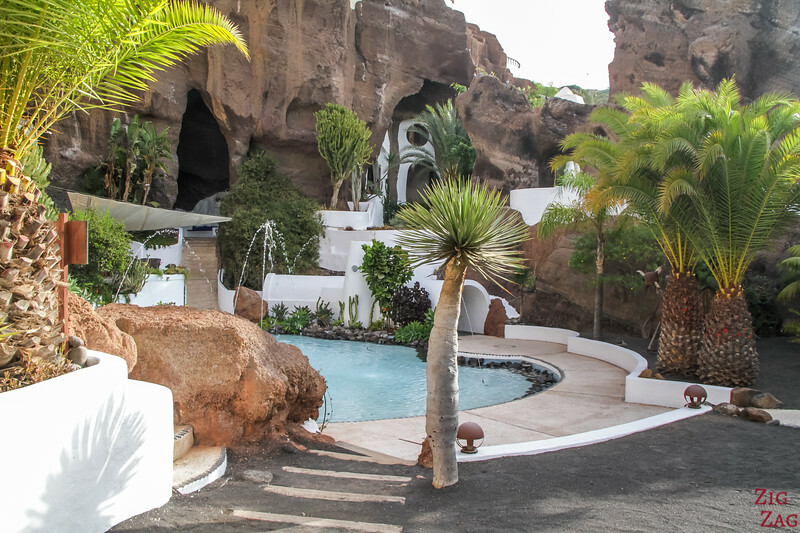 It is a volcanic garden, a fun labyrinth and the famous house of Omar Sharif for a little while. It is a place where architecture is fully integrated with its environnement. 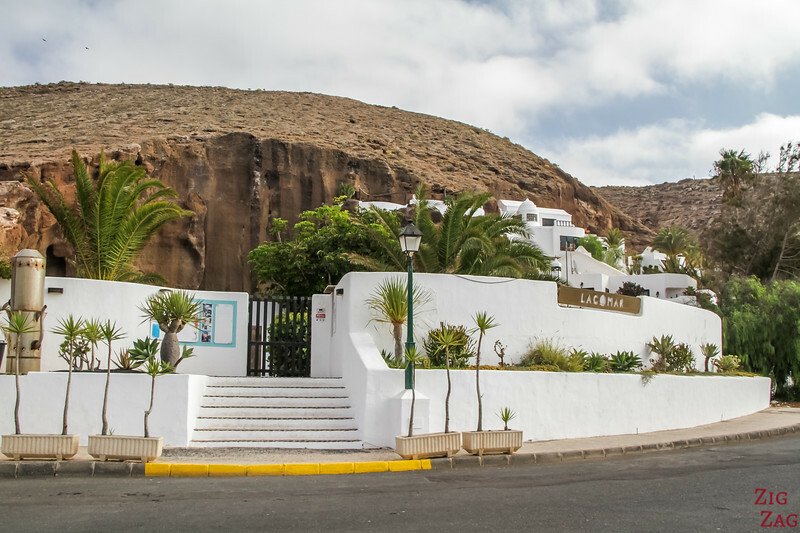 Already as you approach the entrance f the museum, the white of the building is already striking against the natural colour of the rock. It looks very promising, don't you think? 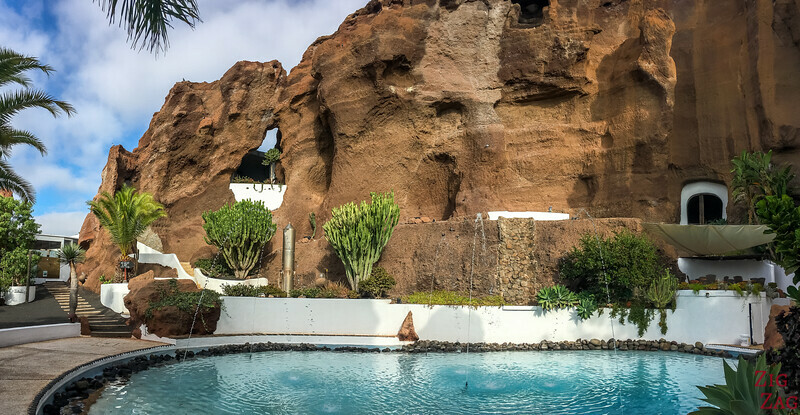 The location used to be a rock quarry on the side of an ancien volcano. 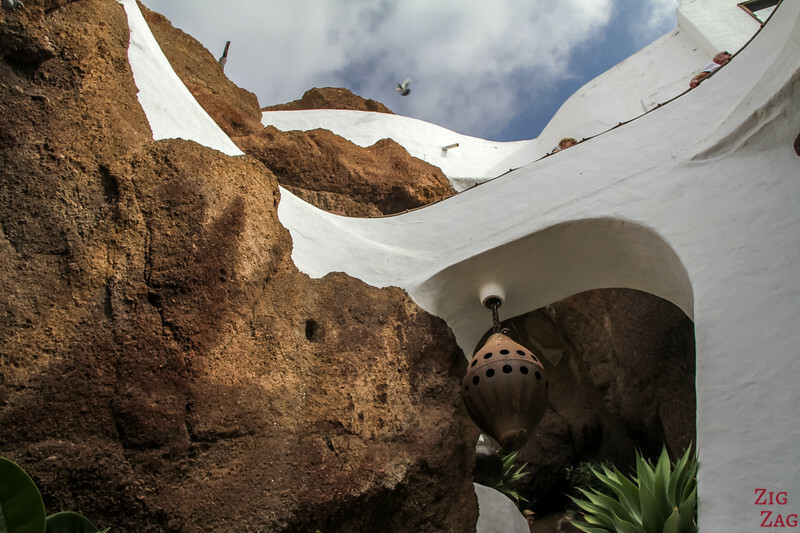 It is César Manrique who advised on how to build houses following the curves of the rocks, which he did in his house. 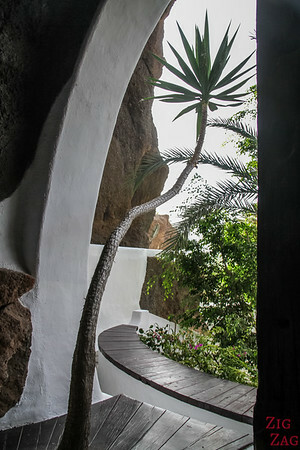 The LagOmar house is set into the hillside. 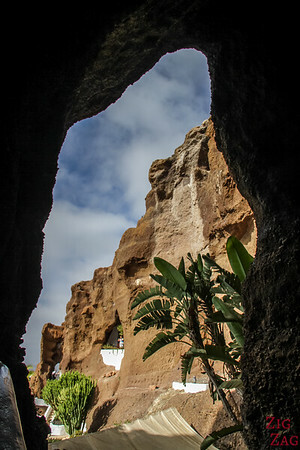 It has different levels opened to magnificent views. 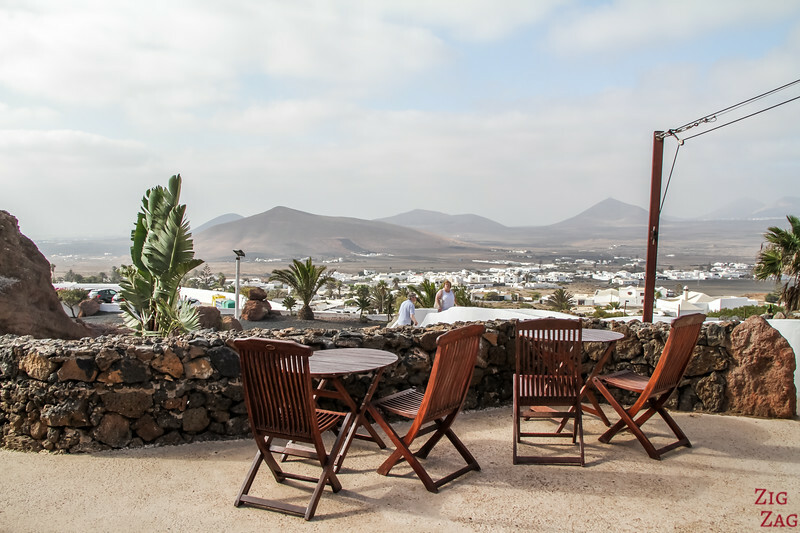 Already from the carpark you can enoy views of the Nazaret village and volcanoes in the background. But once you get inside you will see more. 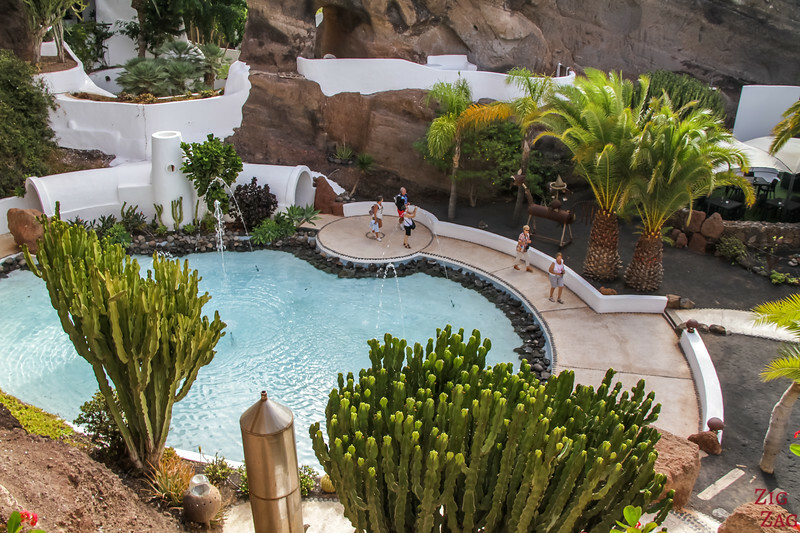 As you enter, you discover the central area around a pool. It is the lower level of the house and where you can best see the walls of the quarry and in the integration of rooms and staircases. 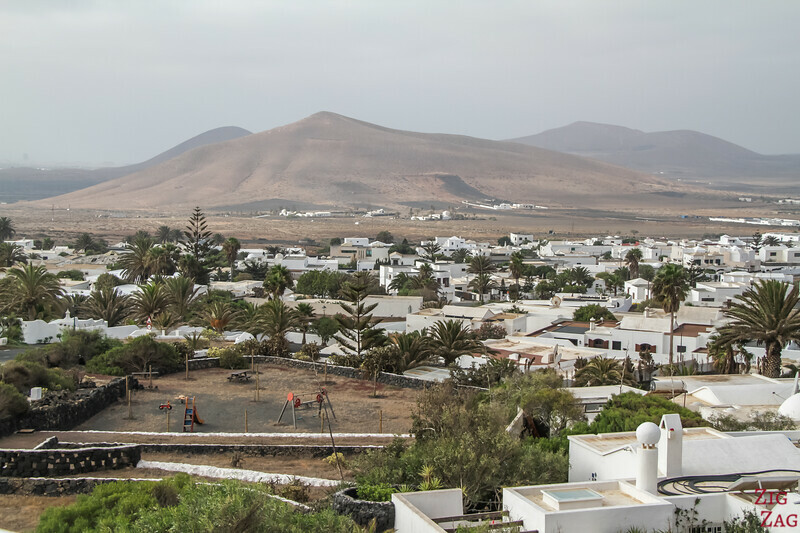 In Lanzarote there sure are really good at creating inviting pool where we are not allowed to swim... (thinking about the other one at Jameos del Agua). So frustrating! 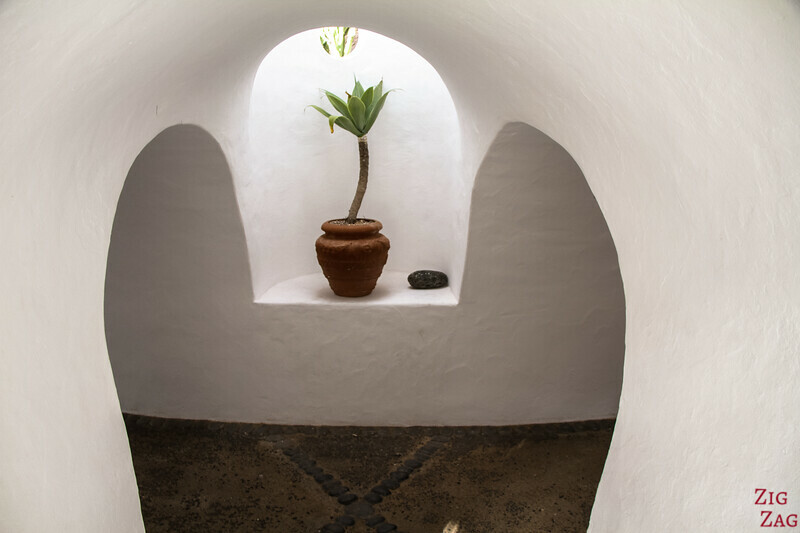 This lower level has a beautiful round tunnel that starts you in the labyrihth, you can fo straight or turn and explore different sections of the house. See on the picture below the wall of the quarry. The whole on the left side with the shite wall is a bar. Every corner and chamber is used and integrated in the architecture. It is really fun for both adults and kids. The developper has the Arabian 1000nights stories in mind to build this house and it really feels like exploring a magical world. 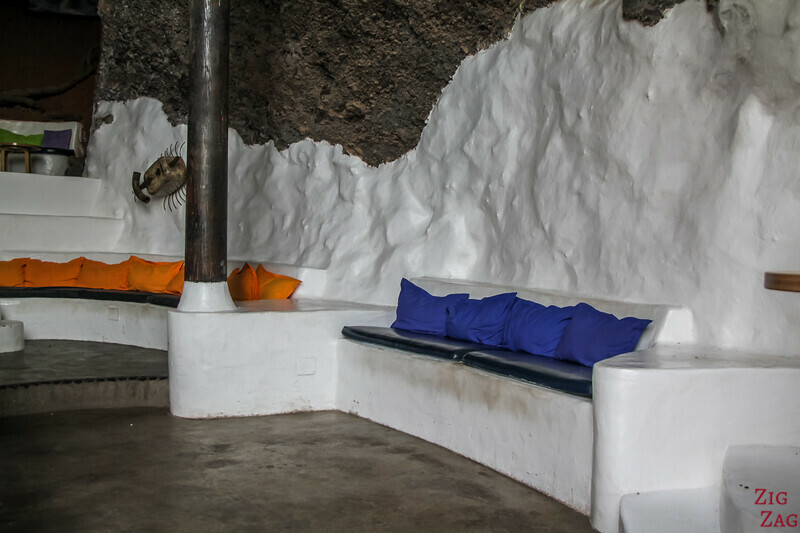 Some of the caves in the quarry wall have been turned into gathering areas with benches and great views. 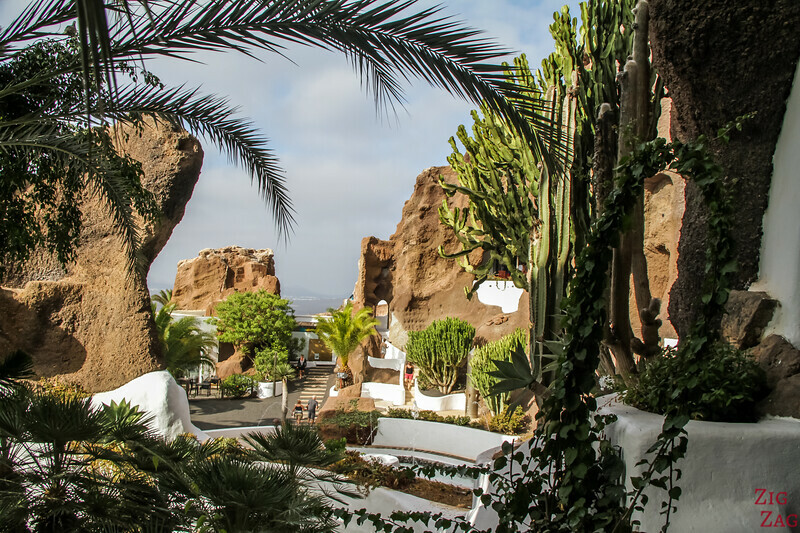 I love this view of LagOmar Lanzarote with the white of the walls, the quarry rocks and the plants added to create like a fantasy oasis. 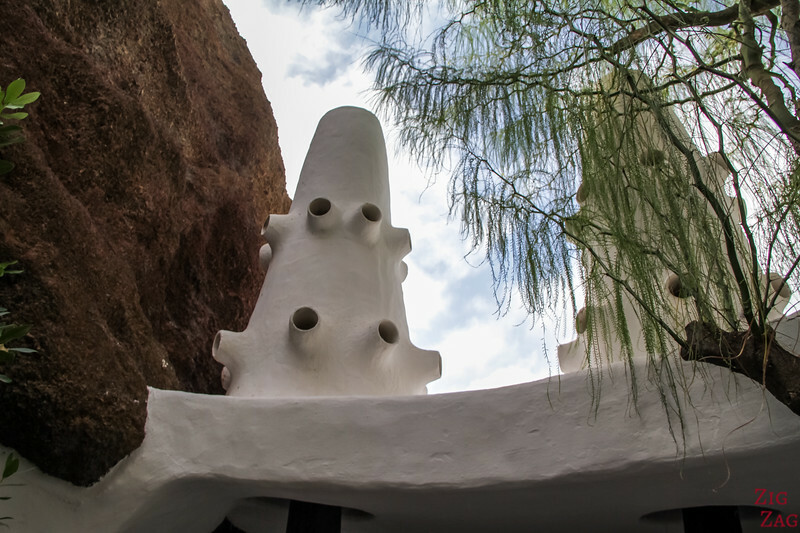 You can also find strange architectural elements, with round or geometrical shapes. Some are really very peculiar. 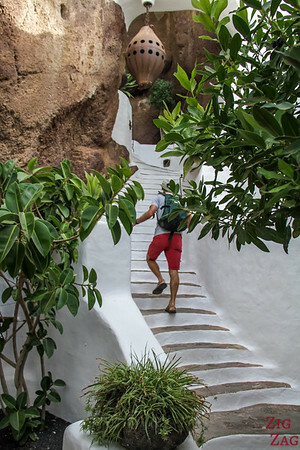 And it is great to explore, get down a staircase and discover yet another imaginative area. It really transports you in a world of fantasy. 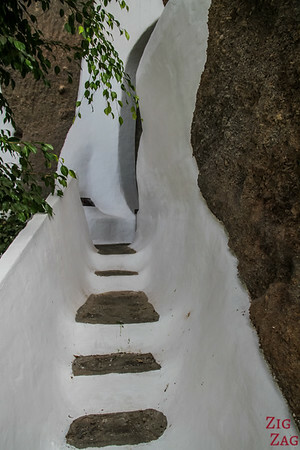 Even the stairs are perfectly integrated following the curves of the rocks and using the same rock for each steps. they look so inviting, wondering what you will find a the top! Then you can enter the indoor home side of the property with kitchen, living room, bedroom and bathroom. 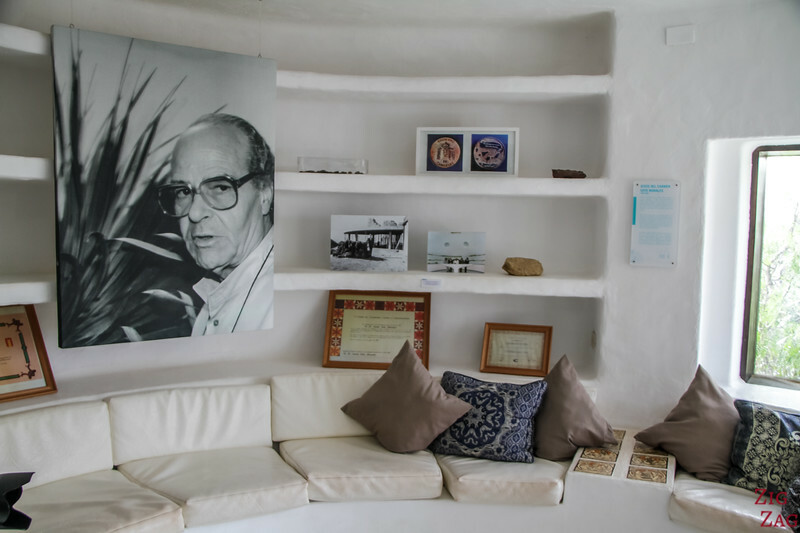 This has been set up as a small museum about Omar Sharif with information about his life and work. 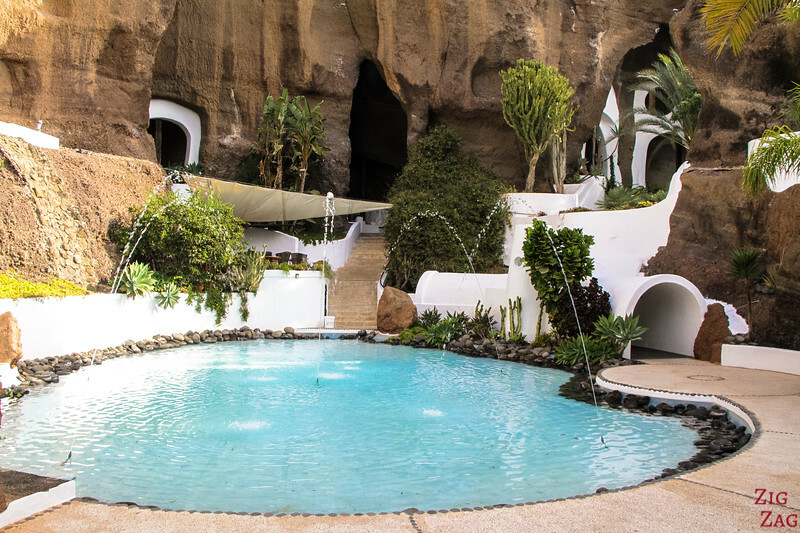 There is a legend that Sam Benady the developer, wanted the property back and challenged Omar Sharif to a game of bridge during which the actor gambled the house away to Sam, who was the Bridge European champion. So Oman never actually lived in it. The inside of the house was the less fascinating for me. 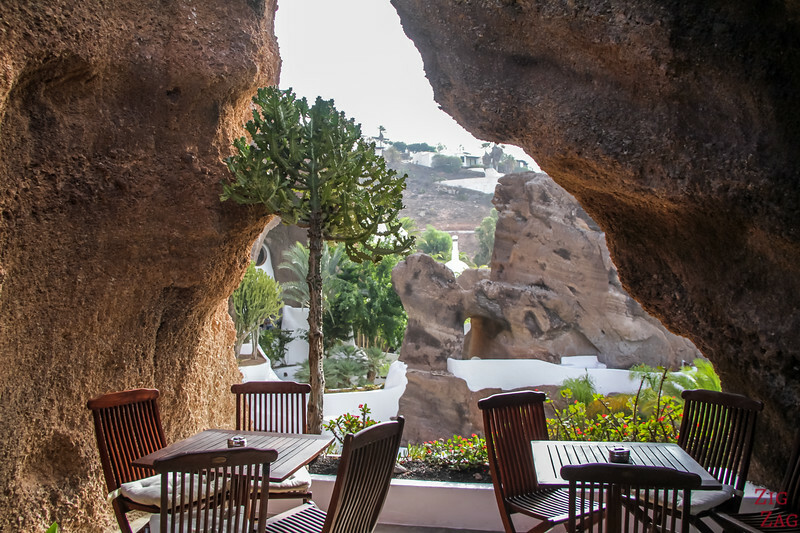 I quickly walked back to explore more of the outdoors and admire the integration of the white walls with the rocks. In the museum you can find restaurants and bars in different sections. They serve a la carte menu and tapas specializing in Mediterranean cuisine. The bar opens from 6:30pm till late with musical events.